For nearly 30 years I’ve been helping athletes, sportspeople and active individuals train harder, race faster, recover quicker and move better by improving their flexibility and getting rid of stiff, tight muscles and joints. 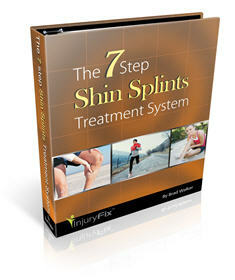 If you’re ready to do the same, take a look at my stretching and sports injury products below. Minimize the likelihood of sports injury and improve athletic performance with 135 unique stretching exercises in an easy to use, quick reference guide. Get rid of back pain and do away with stiff, aching muscles and joints with over 40 visual stretching demonstrations for every muscle group. 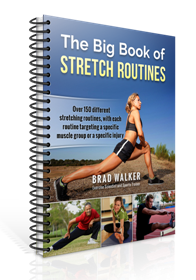 Create, save and print as many personalized stretching programs as you want, quickly and easily, for 37 sports and 119 different muscle groups. Over 70 routines for every major muscle group in your body. Plus another 70+ routines for over 35 different injuries. And, my Top 10 all-time favorite routines. 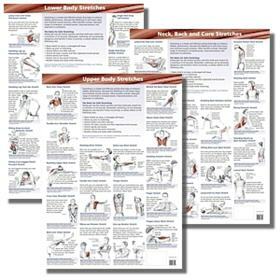 Details and explains 30 stretching exercises in a visual wall chart for personal use within gyms, fitness centers, sports clubs, or for personal use. Three (3) large anatomical stretching charts displaying 48 different stretches for the Upper Body, the Lower Body and the Neck, Back & Core. This simple stretching tool will take you to a whole new level of flexibility. Comes with an instructional poster showing 15 common stretches. 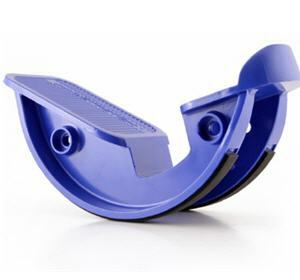 Improve your calf & hamstring flexibility, and get relief from heel pain, shin splints, plantar fasciitis, back pain, hip pain, knee pain, and lower leg pains. 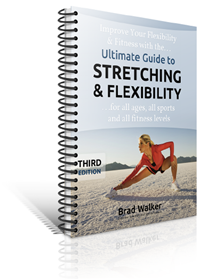 Includes 135 stretches in the Handbook and 44 visual stretching demonstrations on the DVD. Save $10.00. Includes 135 stretches in the Handbook, 44 stretches on the DVD, and a Stretch Strap. Save $20.00. 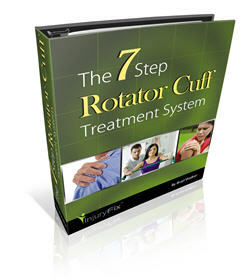 A step-by-step, proven method of reducing your shoulder pain, fixing your rotator cuff injury properly, and then making your shoulder strong and stable. 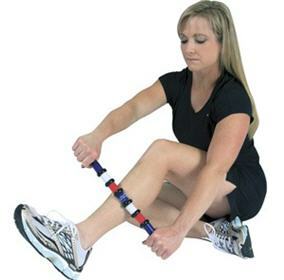 Reduce your lower leg pain, fix your shin splints, strengthen your calves, loosen up your lower legs, and get back to pain free running quickly and safely. 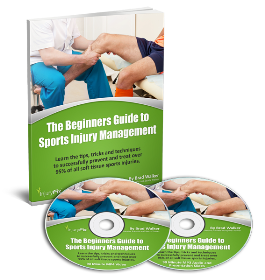 Get all the tips, tricks and techniques to successfully prevent and treat over 95% of all aches, pains and soft tissue sports injuries. Massage both outer and inner layers of muscle and connective tissue to more effectively relieve knots, eliminate scar tissue & improve performance.